Since the statewide power blackout last year, AREG has been assembling replacement parts for the battery backup system on our VK5RSB repeater system. 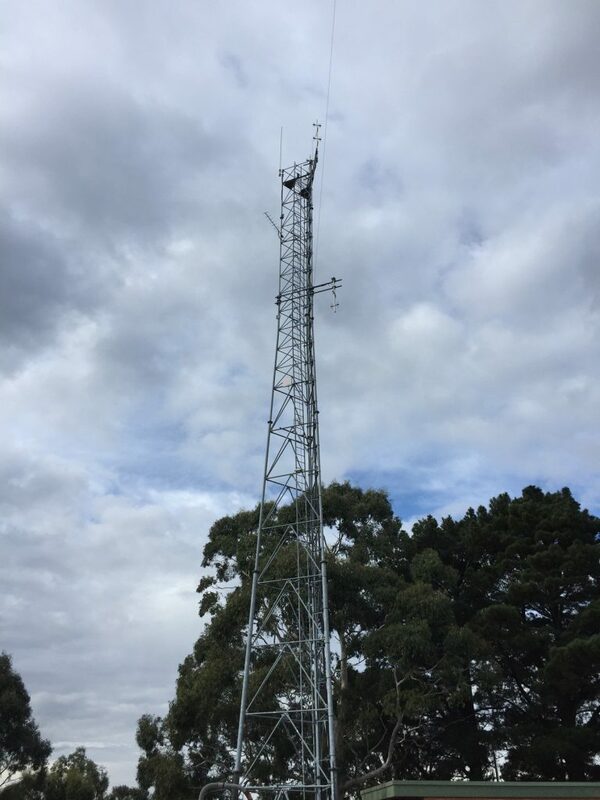 Now that this last weekends excitement is over, I am now able to compile and present a detailed report on the working bee at the VK5RSB repeater site at Summertown. 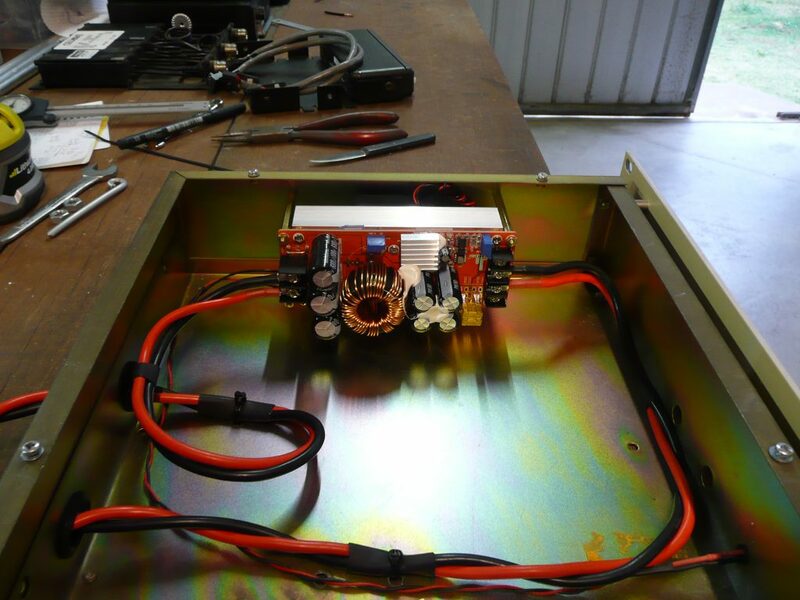 The aim of the working bee was to replace the cavities on the 23cm repeater, reinstate the battery backup system for the 70cm repeater (disconnected several years ago when the repeater was replaced with one requiring 24v input) and install (finally) the permanent replacement 6m repeater antenna (delayed multiple times in the past due to weather). repeater tested on battery backup, draws just on 8 amps and puts a “beep” every 60 seconds to identify unit running on battery backup. 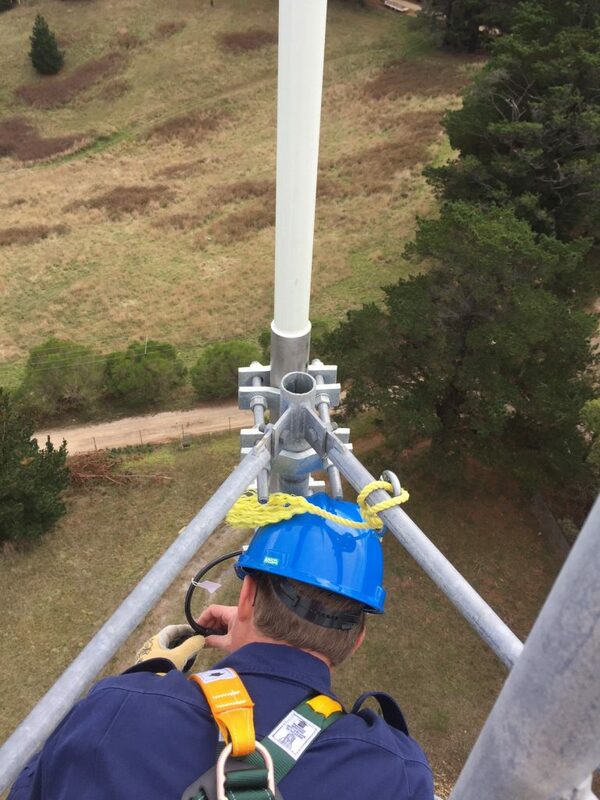 whilst on site, Paul took the opportunity to “Sweep” the VK5RSB 70cm antenna, return loss was good BUT it was identified that there IS a problem, a ringing or ripple on the return loss sweep, possibly due to a faulty connection in the line. We believe that the problem is most likely the coax connector on the top end of the LDF 450 coax, as this was not serviced or replaced when we changed and fitted the new antenna a couple of years back.This means another working bee, when the weather for working at the top of the tower is conducive. during the above work activities, Adrian and Rod were able to swap out the old 6m repeater antenna and install the new antenna. Once the new antenna was connected, a return loss sweep was done and all looked very good. A big thank you to everyone who contributed to the work at VK5RSB. I am sure it will improve service for all amateurs in the greater Adelaide Metropolitan area. 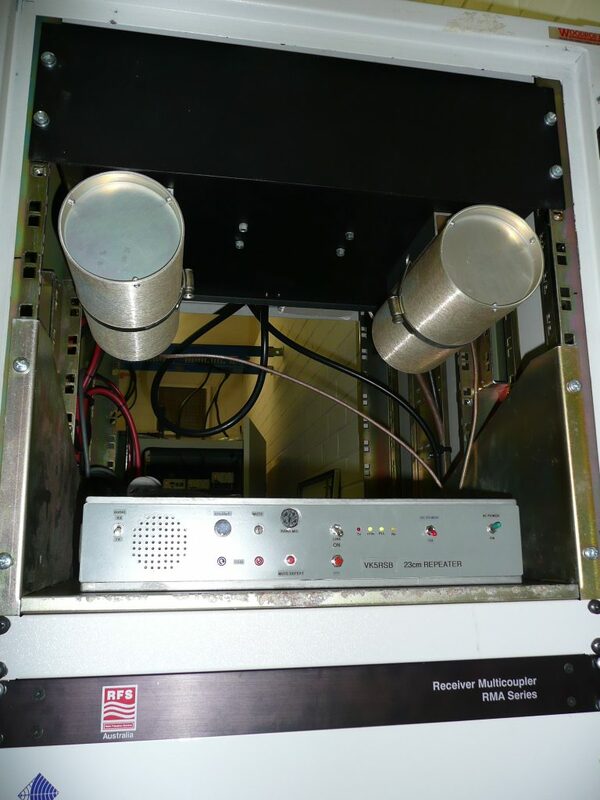 This entry was posted in Repeater News, Repeaters by VK5BB. Bookmark the permalink.